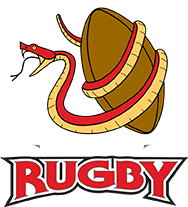 Beginning Spring 2019, Raleigh Rugby will be offering the only Middle School Girls Rugby team in the Triangle area, the Raleigh Cobras. As the only club in North Carolina with a nationally ranked Division 1 Women’s team, Raleigh’s middle and high school girls programs benefit from working with female coaches that have played high caliber rugby at a national level. The team will have the unique opportunity to work directly with some of Raleigh’s Women’s players at instructional camps and various other events. Players of all skill levels are welcome to join us at any point during the season. As one of the premiere rugby clubs in the triangle, Raleigh Rugby boasts its own, gorgeous, Bermuda grass facilities, and a family of other teams to help groom you into the best rugby player you can be. Join the movement and be a part of the fastest growing sport in the U.S.
Spring Season dues are $125 total. Dues may be paid through our website. If you have trouble paying, please reach out to Sunny Myers to make arrangements. Full and partial scholarships are available to those in need. Interested players are welcome to come check out a few practices before signing-up. Players will need black rugby shorts, soccer/rugby cleats, a mouth guard and a warm-up shirt. Discount gear and warm-up shirt that can purchased at our online store on worldrugbyshop.com. Click on “Youth Rattlesnakes” tab.